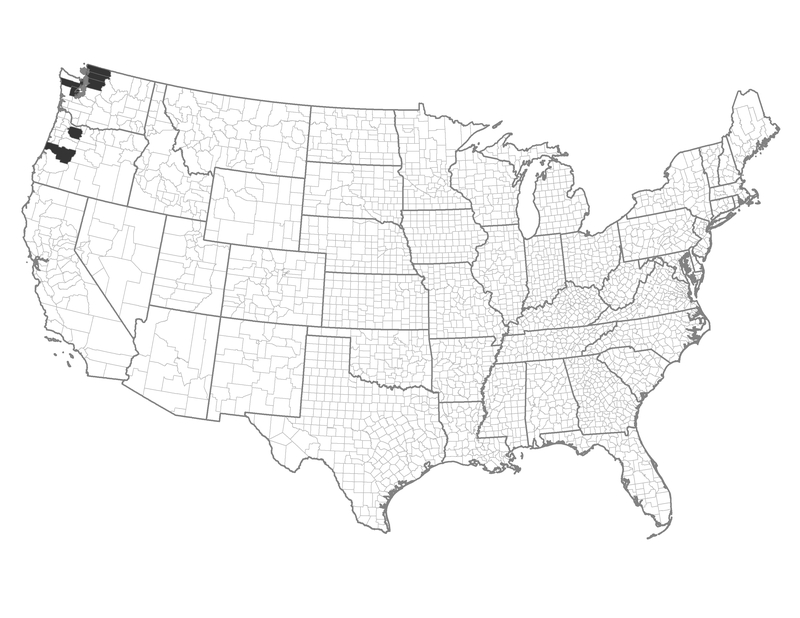 These counties lie primarily within the Pacific Northwest and western Cascades. Fire occurrence is typically low in these areas and the forest product industry is strong. The landscape falls within the Fire Regime Group V and demographic advantage is high. Example of a Typical County — Jefferson County, Washington: This temperate rain forest county includes most of Olympic National Park. The coastal region to the west includes private industrial timber lands.